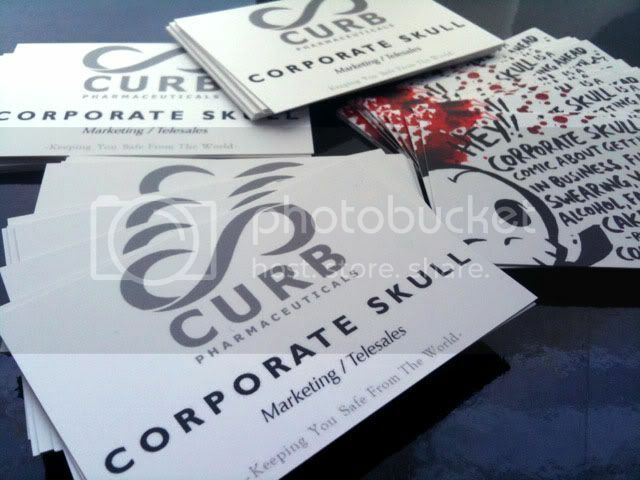 Corporate Skull business cards + Signing at MCM Expo! Hey so in case you haven’t seen on my main blog, I’m doing a signing at MCM Expo (London) this saturday 28th, in the comics village, from 11 till 1. Click the image on the left for all the details or read about it on my blog if you wanna. It would be great to see you! 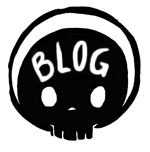 I’m not there specifically promoting anything, so i’m happy to chat about/draw pictures of any of the different projects i work on (including Skull of course). However, if you come to the signing or just happen to see me walking round the Expo, be sure to ask me for one of these EXCLUSIVE Corporate Skull business cards. I’ll be carrying a bundle of them with me, maybe leaving a few around, so get one off me while we’re all there. Wonder if anyone would have the nuts to do Corporate Skull cosplay *cough* They will WIN something (not sure what).